It’s easy to create a unique and professional looking calendar using your very own theme! From nature inspired to family focused, there are countless ideas to play around with. To come up with your theme, start by taking a look at the photos you’d like to use in your calendar and then build your theme around them. Or pick a theme and then simply take photos to match it! Below we’ve come up with a few themes to get you started. Check them out and begin creating your own calendar right away! Lots of photos look good in black-and-white and would be beautiful in a calendar. Photos from trip to a big city like New York for example, would look great in black-and-white. Or why not use photos representing each month of the year and turn them all black-and-white? 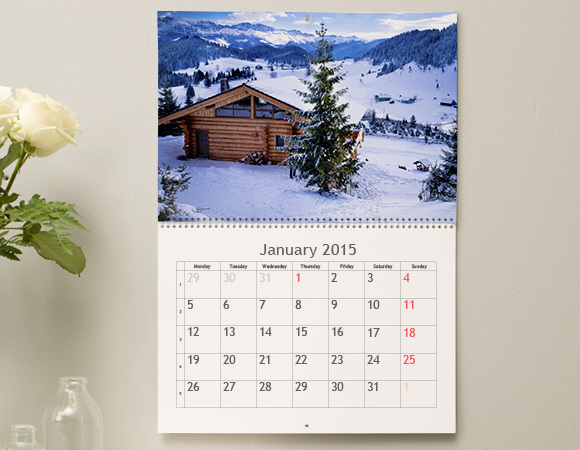 Black-and-white photos create a sleek calendar that look’s good in any home! 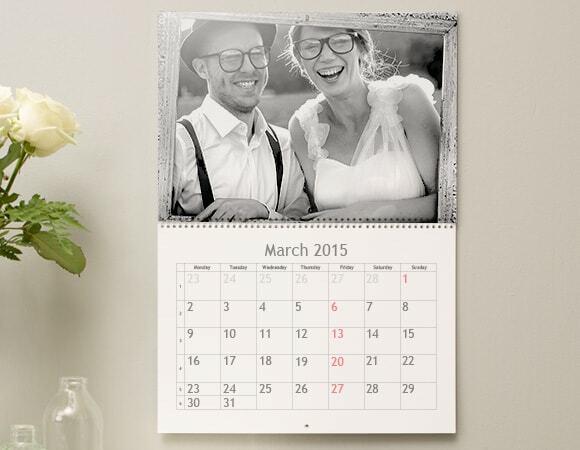 Top tip: If you don’t already have black-and-white photos you can easily edit your photos while making your calendar. The natural changes throughout the seasons are incredibly beautiful and make great photos. For example, capture how the trees change throughout the year – fiery red, yellow and orange during autumn, frost bitten, bluish and grey during winter, light green and pink with buds in spring and full of vibrant green leaves in summer. Use photos of nature and allow the months to speak for themselves! Perhaps you’ve been on a family vacation or little Johnny got his first bike? Add these photos to your calendar! 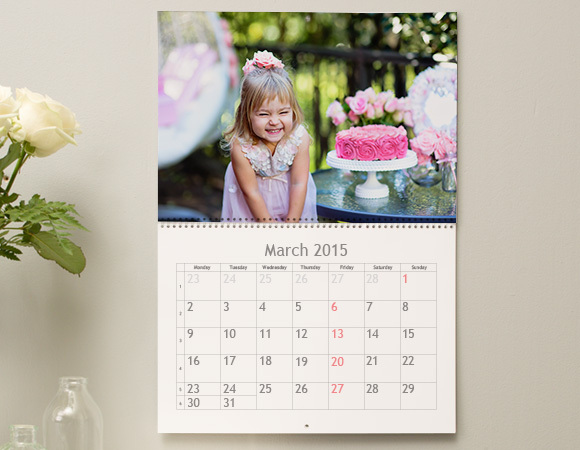 Creating a calendar with all your family’s events will make it meaningful for everyone in the family. Plus, a theme like this would make the perfect gift for all your family members. Fill your calendar with birthdays, weddings, graduations and simple, everyday moments. Top tip: Order multiple copies of the same calendar and give it to everyone at Christmas! Feeling inspired? Start creating your calendar!